← Did Matt Cain Just Throw a Perfect Game vs. the Padres? 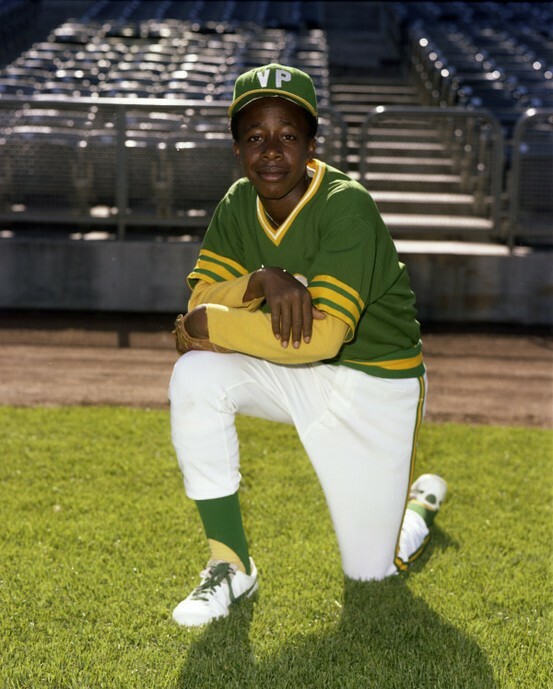 Everybody knows that MC Hammer was a bat boy for the Oakland A’s in the 1970s. Pretty incredible story. What I didn’t know was how he got the nickname “Hammer.” His given name is Stanley Kirk Burrell. So, I started researching it, and that took me down a rabbit hole of discoveries. Hopefully you’ll enjoy the trip. Good luck following my train of thought. 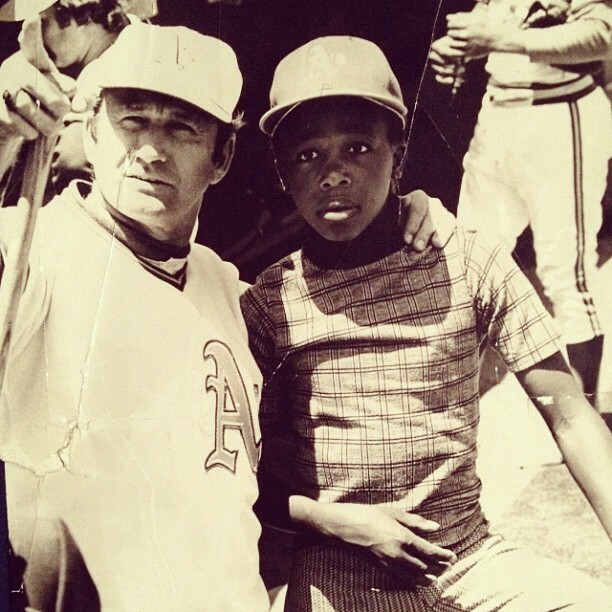 Reggie Jackson, in describing Burrell’s role for Finley, took credit for his nickname: Hell, our chief executive, the guy that ran our team, uh, that communicated [with] Charlie Finley, the top man there, was a 13-year old kid. 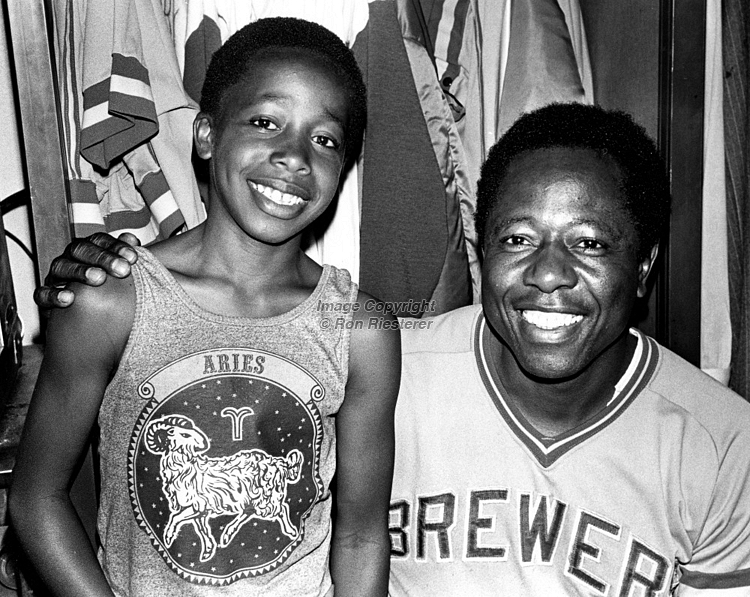 I nicknamed him “Hammer,” because he looked like Hank Aaron. 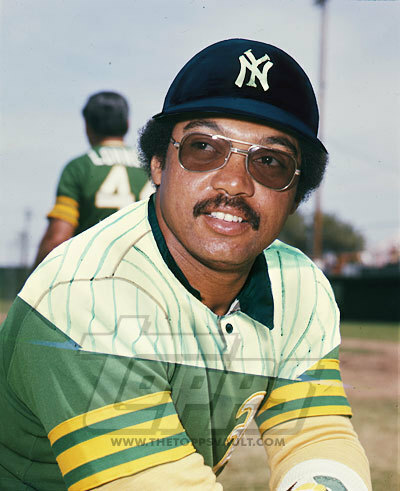 There ya have it… thank you, Reggie Jackson. 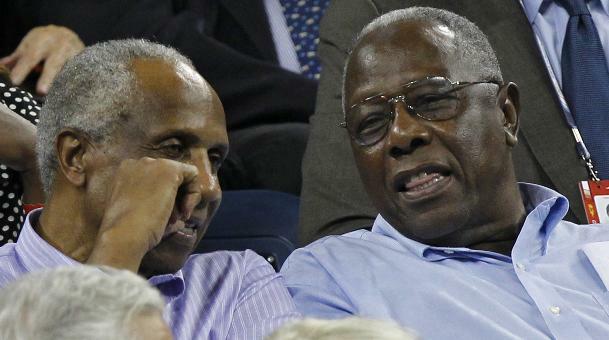 I was not able to find any photos of Reggie Jackson with Hank Aaron. Are they any? 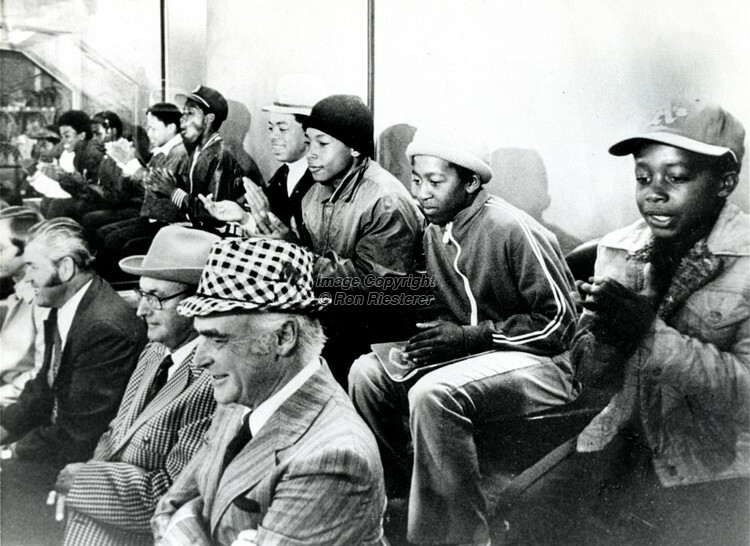 Also, that won’t be the first time I mention A’s owner, Charlie Finley… here he is in the owner’s box…with Little Hammer and his buddies. 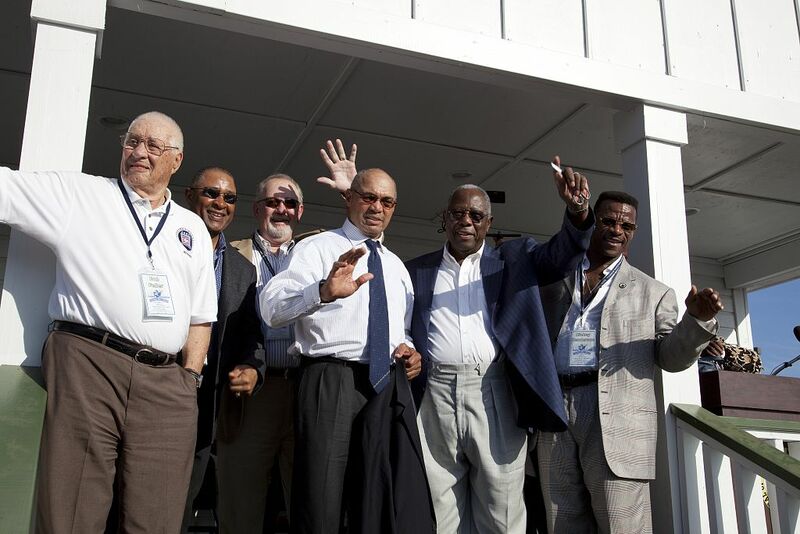 I found this photo snooping around online, so Charlie Finley wasn’t lying…VP! Upon arriving in New York, the number 9 that he had worn in Oakland and Baltimore was worn by third baseman Graig Nettles. Jackson asked for number 42, in memory of Jackie Robinson. But manager Billy Martin brought his friend Art Fowler in as pitcing coach, and gave him number 42. 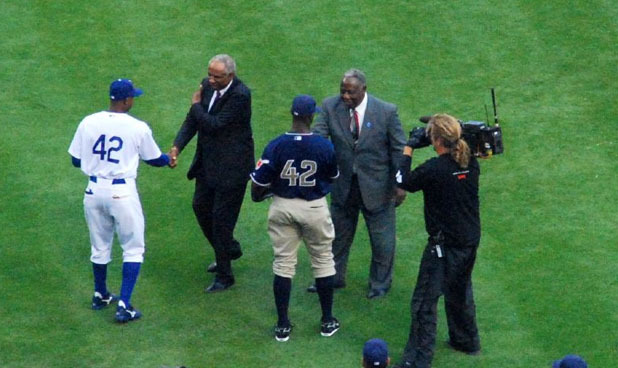 So, noting that then-all-time home run leader Hank Aaron had just retired, Jackson asked for and received number 44, Aaron’s number. 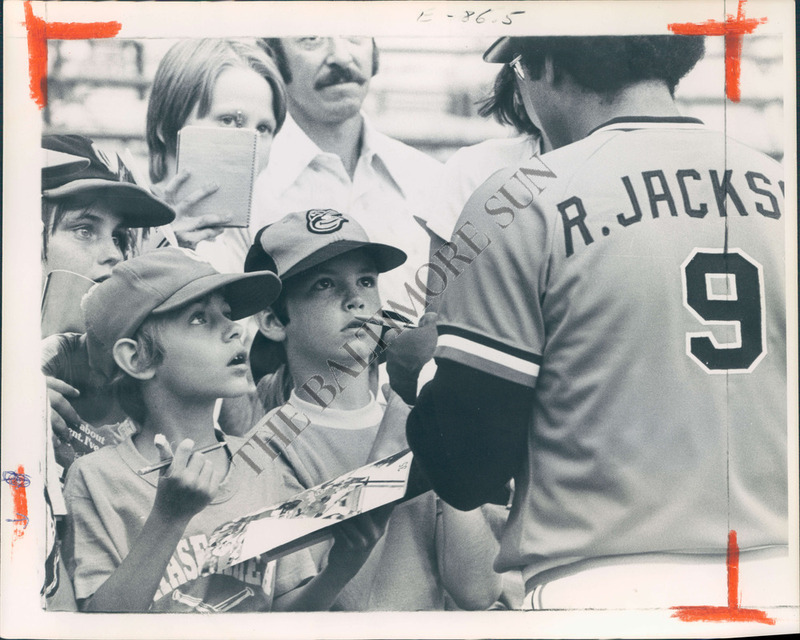 On his first day in spring training the following February, however, Jackson wore number 20 (the number of Frank Robinson, who had also just retired) before switching to 44. 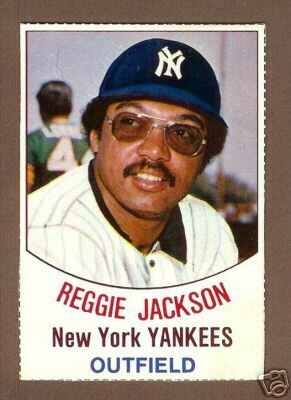 I couldn’t find any, but in looking, I did find this awesome photo of one of Reggie Jackson’s first baseball cards as a Yankee, a 1977 Hostess card. Why’s it so awesome you ask? The original photo. There it is, airbrushed, half-way, into a yanks jersey from an A’s photo. Rad. Absolutely love it. 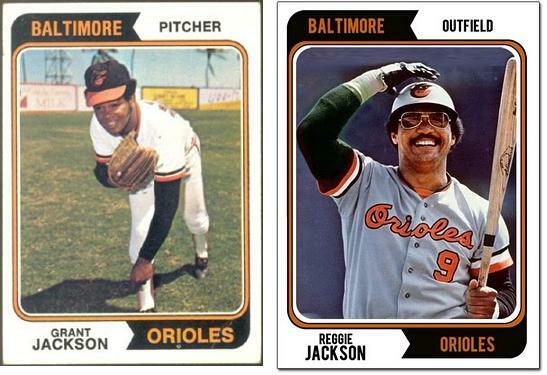 If you were wondering, and I know you were, Reggie also wore number 9 in his one year stint with the Baltimore Orioles. Funny thing about that… he had “R. Jackson” on the back of his jersey. A game worn one sold for over $4,000 in auction a few years back. Why the “R”? Because there was already a Grant Jackson on the team. No clue if that dude had a “G. Jackson” on his jersey or just a “Jackson” NOB. Judging by his back in the below card, he did not have the “G”…but who knows when that photo was taken. So, back to Reggie and that number 20. 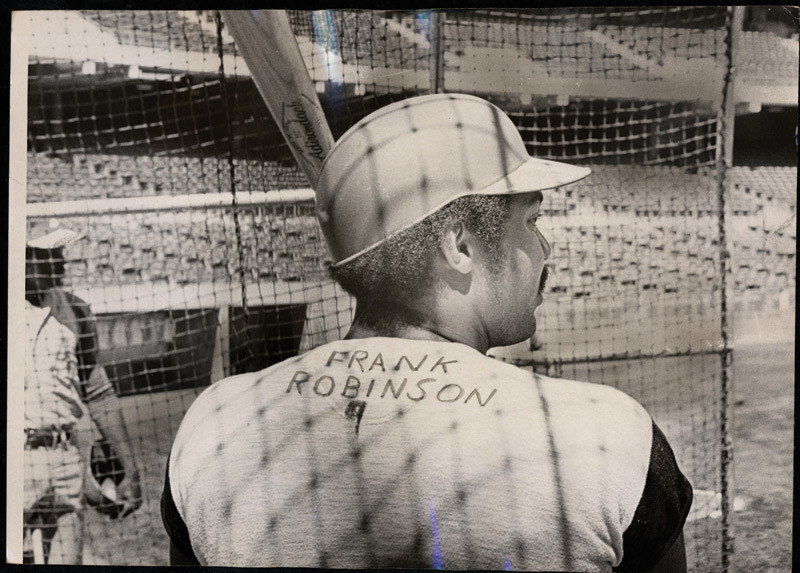 Are there photos of him wearing it, and what was the connection with him and Frank Robinson? Well, there’s a lot there…here’s some of it. 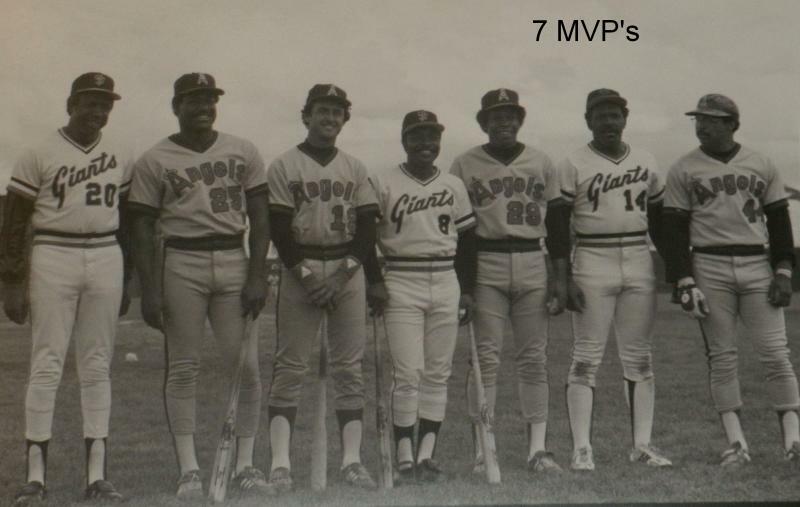 In the Winter of 1970-71, Jackson went to Santurce, Puerto Rico to work under an old idol, Frank Robinson. 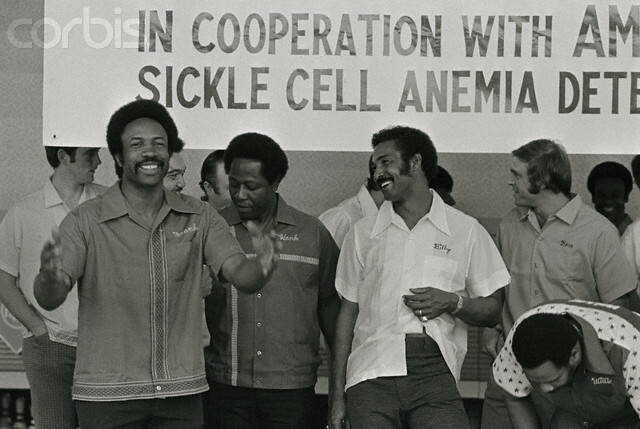 Robinson, a veteran player-manager, helped Jackson to ease up on himself and to put his own game into perspective. 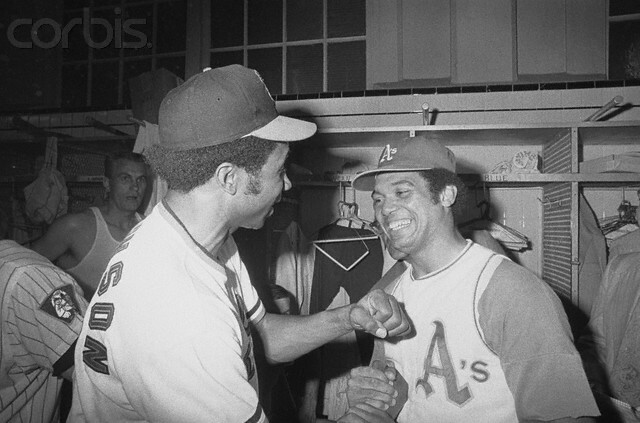 When he returned to the Athletics in Oakland he no longer felt the burdensome need to carry the team or to pressure himself for a hit every time he came to bat. Robinson’s invaluable tutoring also helped him to cultivate his aggressive playing style while keeping his temper in check. That’s pretty cool too. Here are some more photos of Reggie and Frank hanging out. As for Frank and Hank… well, they’ve been acquainted for many, many years. Same goes for Reggie and Hank… they’re no strangers either. I tried to warn you… it’s a rabbit hole. 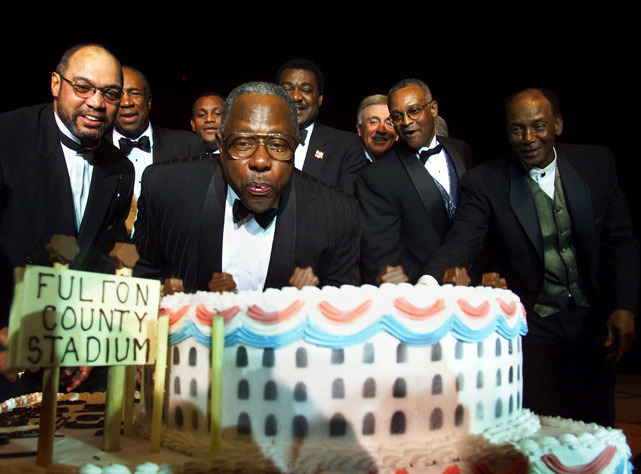 Started with MC Hammer… Reggie Jackson, Frank Robinson and Hank Aaron. Funny seeing a rapper named next to baseball’s all-time greats. 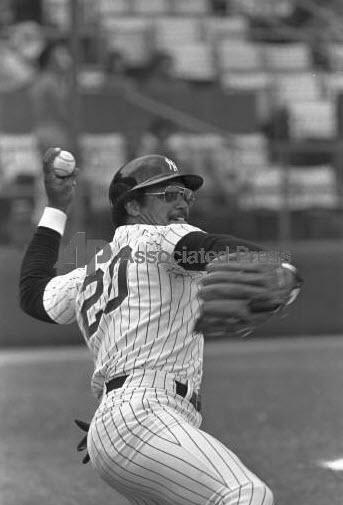 Reggie Jackson, who started on the Yankees wearing Frank Robinson’s number 20, ended up wearing no. 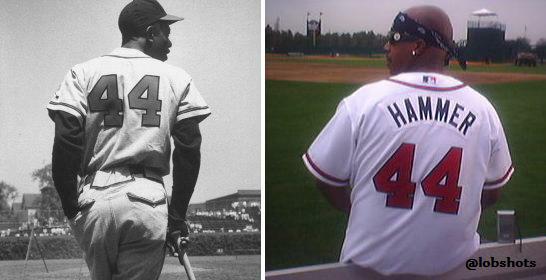 44, to honor Hank Aaron, the man who he thought young Stanley Burrell looked so much like… he nicknamed him “Hammer”. 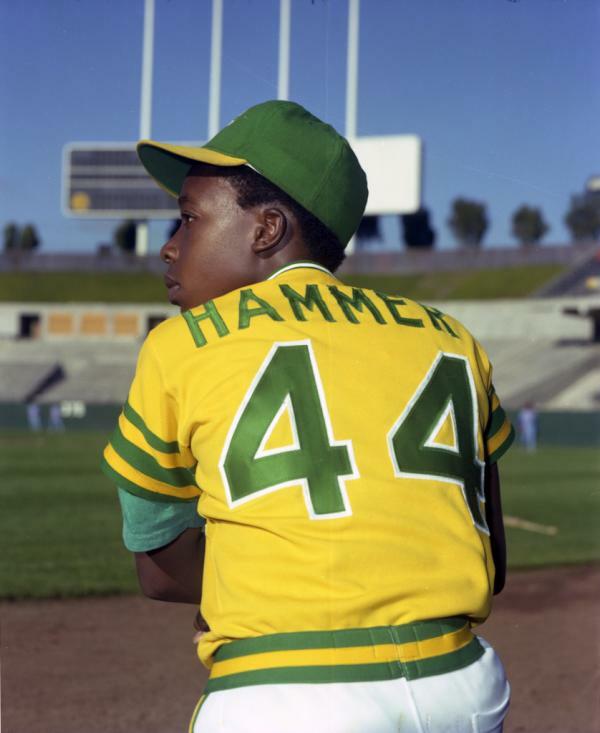 Embracing the nickname, Hammer also wore number 44 as the A’s batboy. 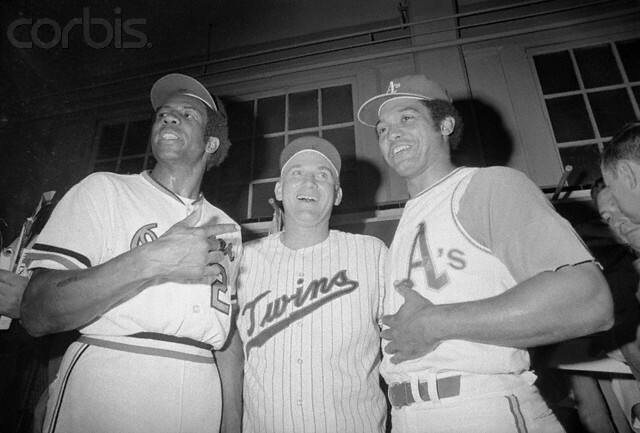 Then, as you saw in the very top photo, little Hammer was able to meet Hammerin’ Hank. It’s all pretty awesome. 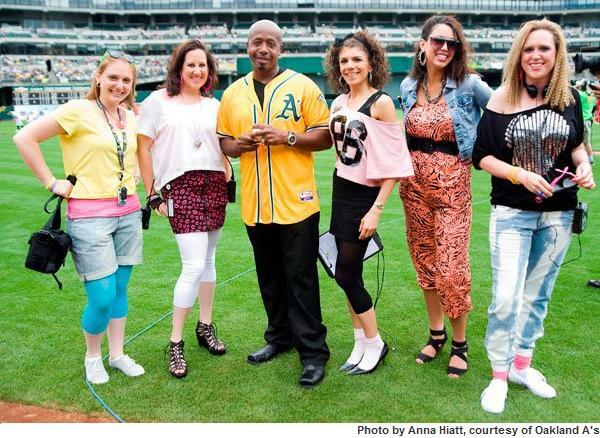 Here are the other photos I was able to find of little batboy MC Hammer and the A’s. Also, if you were wondering if M.C. 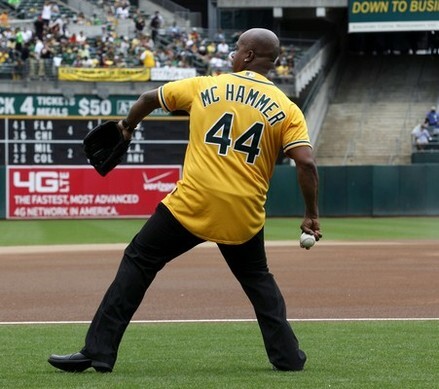 (master of ceremonies, obviously) Hammer has kept in touch with the A’s…he indeed has. 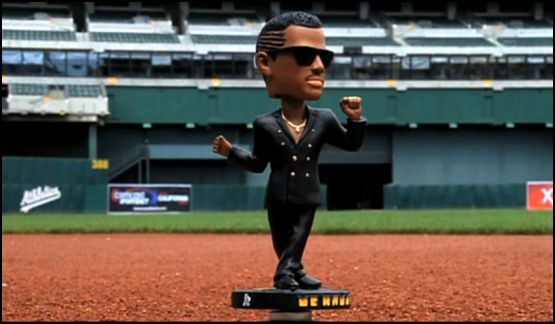 He’s thrown out the first pitch, hung out with players, and they even had a bobblehead night specifically for him. Rock solid, A’s. 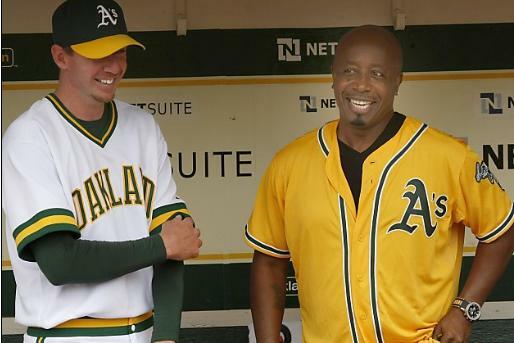 Please Hammer, don’t hurt ’em… also, don’t think MC Hammer wouldn’t cheat on the A’s for his boy Hammerin’ Hank and the Braves… I feel like they’re staring into each others souls through time and space. See? Staring. 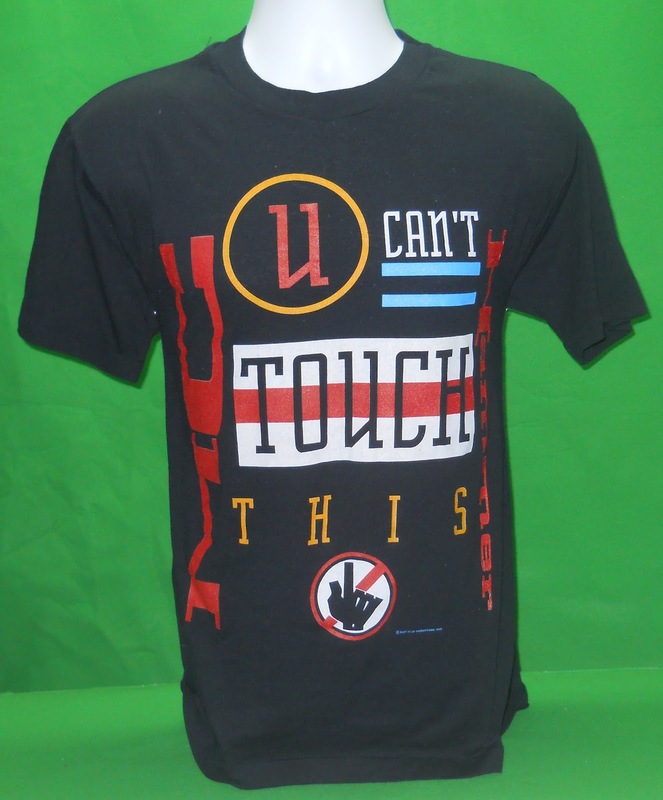 On a personal note, I owned this t-shirt in Jr. High. 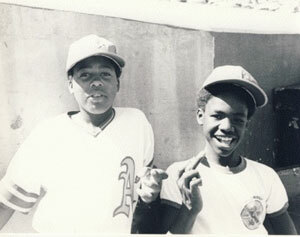 This entry was posted in Baseball and tagged A's, Braves, frank robinson, hammerin hank, hammerin hank mc hammer, mc hammer, mc hammer A's, mc hammer A's bat boy, mc hammer A's batboy, mc hammer Athletics, mlb and mc hammer, Reggie Jackson, reggie jackson frank robinson, reggie jackson mc hammer. Bookmark the permalink.